69.99 GBP Only 1 left In stock, ready to dispatch. 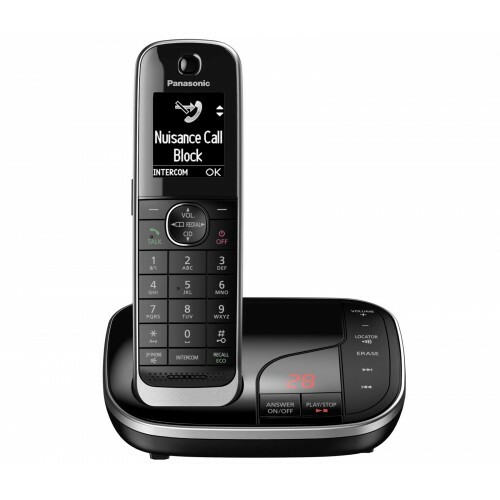 A stylish new cordless phone from Panasonic that offers Nuisance Call Blocking to prevent unwanted calls to your home. The Panasonic KX-TGJ320 further benefits from an advanced integrated answering machine with a recording time of up to 40 minutes, large colour display, and stylish handsets with hands-free loudspeaker. 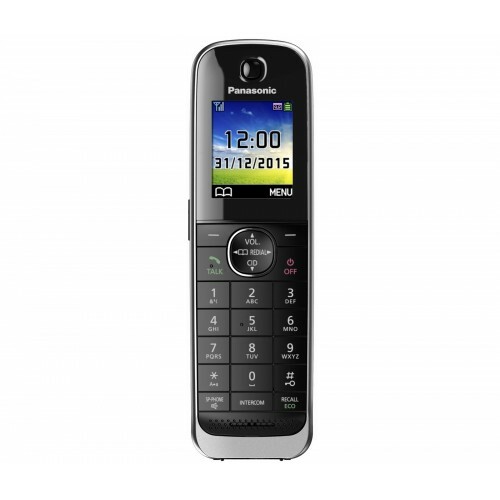 Designed to look good and deliver reliable performance, the Panasonic KX-TGJ320 has a high-quality feel to it. 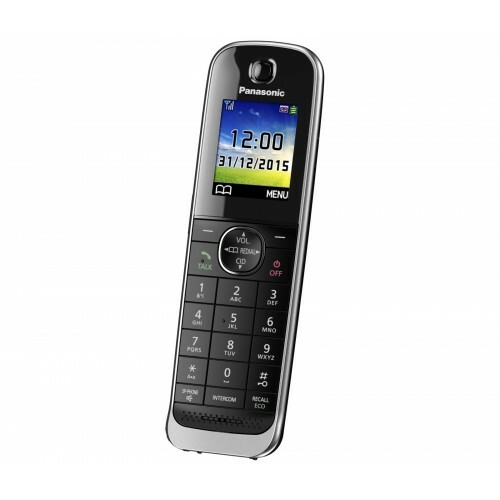 The handset has a 1.8” full colour display, which makes it easy to navigate through the menus and access your call lists. 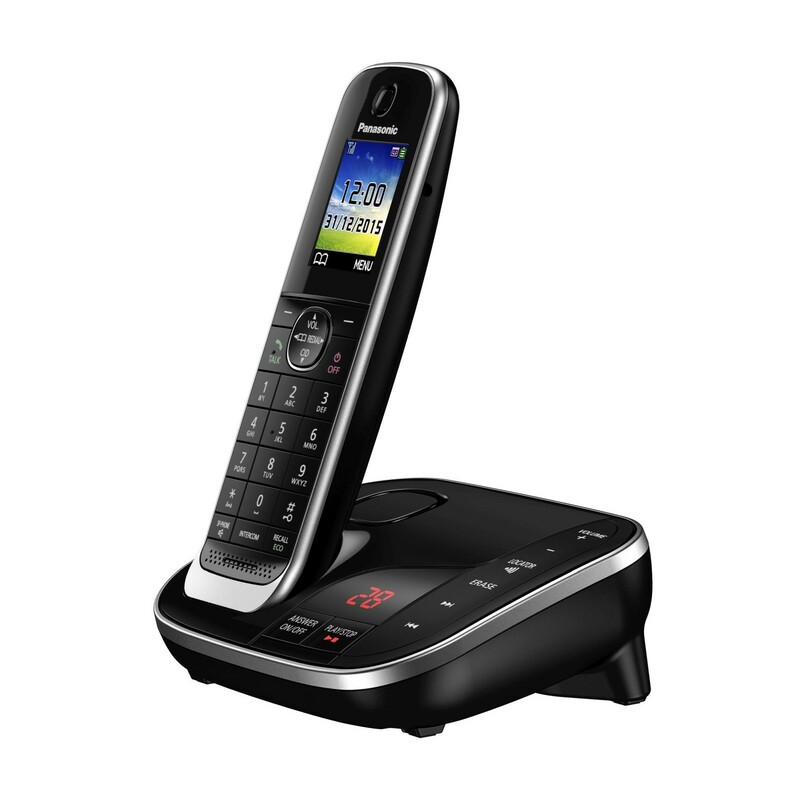 This cordless phone has also been designed as a Radiation Free model with Panasonic’s Eco Mode Plus, which completely eliminates radiation when the phone is in standby. With the Panasonic KX-TGJ320 you can protect your home against nuisance calls with the intuitive Call Blocking features, which allows you to block a string of numbers (eg. 0.8.4.) to prevent incoming calls that match this combination. 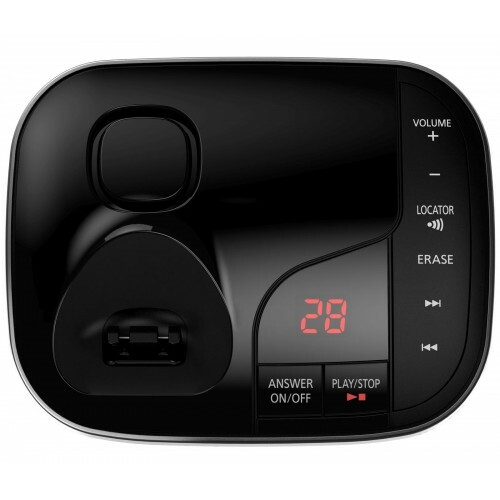 You can also use it to block calls from private numbers where there is no ID available or the callers has intentionally withheld their number, which can greatly reduce the number of cold calls. 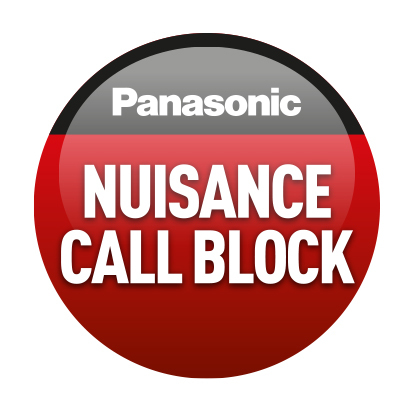 You must be subscribed to Caller ID with your line provider in order to use Panasonic’s Nuisance Call Block. Effectively manage your missed calls with the Panasonic KX-TGJ320’s in-built digital answer machine. 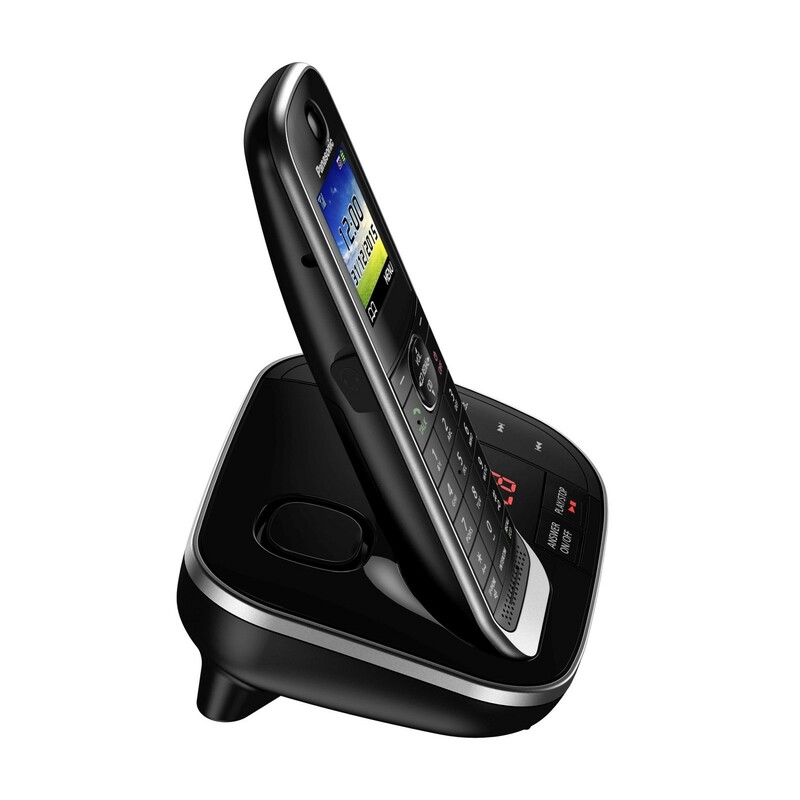 Capable of recording and storage of up to 40 minutes of messages there is ample space for whenever you’re away from home for longer. 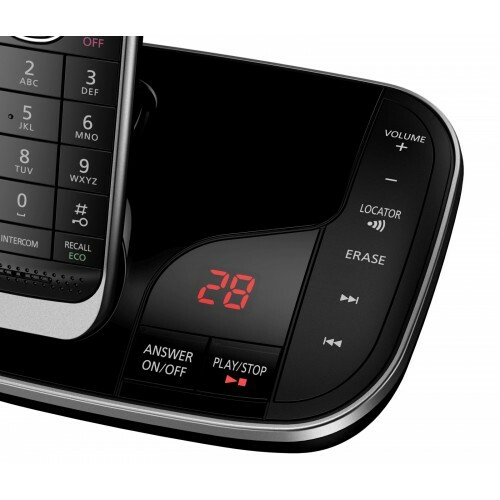 You can playback messages directly from the base thanks to the integrated loudspeaker or using the handset. 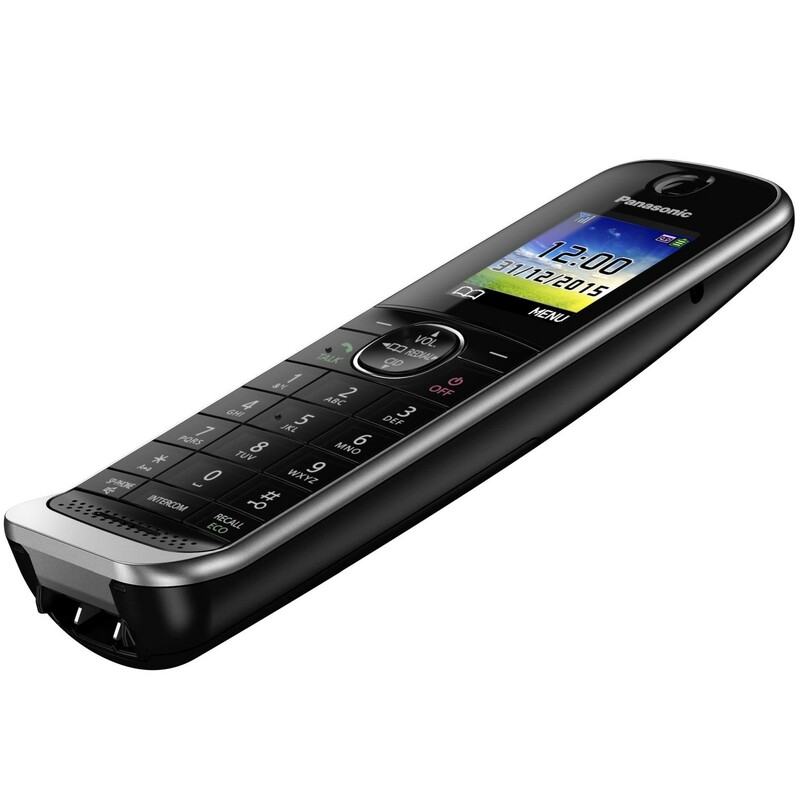 The Panasonic KXTGJ 320 is enabled for Talking Caller ID so can easily be set-up to announce the name of the incoming caller, and has a phonebook capacity for up to 250 contacts. The handset has a high-quality full duplex loudspeaker that can be used whenever you want to talk handsfree, and has conveniently adjustable volume settings. And with the Do Not Disturb Mode you can prevent unwanted calls during mealtimes, night, or whenever you want to enjoy some peace and quiet. 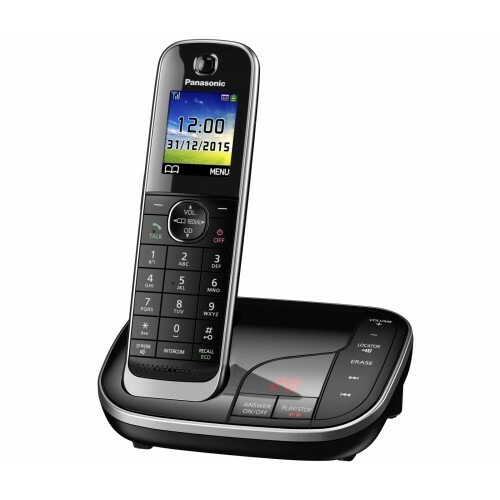 Offering the latest in style and call blocking features the Panasonic KX-TGJ320 is a sophisticated home phone that delivers on quality.